If you are looking for a simple experiment idea that you can try at home, here is a quick short-term memory test. You can try this experiment on your own, but it would also be interesting to try with a small group of volunteer classmates. By seeing how many words you can memorize in a brief period of time, you can learn more about both the capacity and duration of short-term memory. In the following demonstration, look at the list of words below for two minutes. Memorize as many words as you can in this amount of time. Next, turn off your computer monitor and get out a sheet of paper. Give yourself two minutes to write down as many words from the list as you can. How many words did you get correct? Despite having two minutes to memorize the words, you may find it surprisingly difficult to later recall even a handful of the words. This experiment demonstrates some of the limitations of short-term memory. 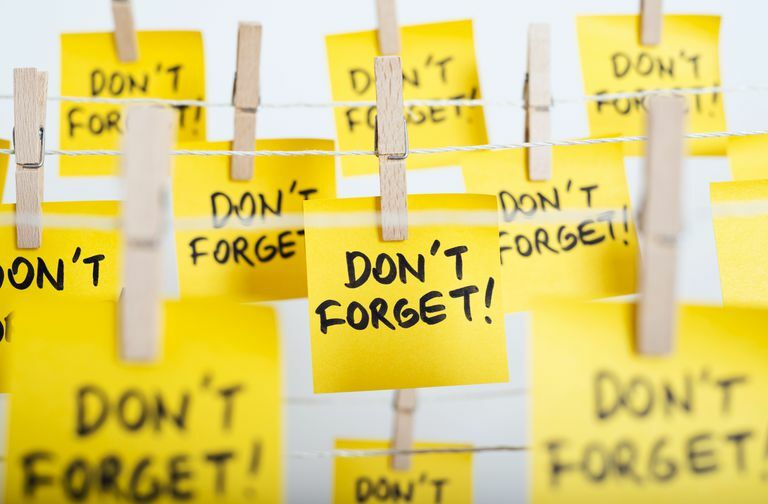 According to researcher George A. Miller, the typical storage capacity for short-term memory is seven plus or minus two items. However, memory rehearsal strategies such as chunking can significantly increase memorization and recall. Because these items can be easily grouped based on category, you can probably remember far more of these words. Clustering can be a useful memorization strategy that can improve the retention and recall of information. On average, how many words can a person remember? Can other factors such as gender and age have an impact on memory? Do people tend to remember certain words more than others? What strategies might improve memorization? Compare random words versus related words. Create two groups of words: one group that is completely random and another that has groups of related words. Ask participants to first complete one trial with the random words, and then complete another trial with the related words. Compare the results of your two trials. Compare results between male and female participants. Have a group of participants perform the memorization activity, and then compare how many the male participants remembered on average to how many the female participants remembered. Try the experiment with gender-associated terms versus gender-neutral terms. For example, create a list of terms related to objects or concepts commonly associated with women. Then create a list of terms not associated with either gender. Administer both tests to a group of participants and compare the results between the men and women. Did women find it easier to remember the gender-associated terms? Did men find it more difficult? Or were the results insignificant? Compare results among different age groups. For example, create a group of school-age children, a group of college students, a group of middle-aged adults and a group of older adults. Give the same word memorization test to each participant and then compare the results of each group. Which group performed the best? Which one performed the worst? What do these results have to say about memory and age? When you are exploring psychology experiment ideas, be sure to understand how to conduct a psychology experiment to get accurate results and to perform experiments ethically. Bastian CCV, Oberauer K. Effects and mechanisms of working memory training: a review. Psychological Research. 2013;78(6):803-820. doi:10.1007/s00426-013-0524-6.